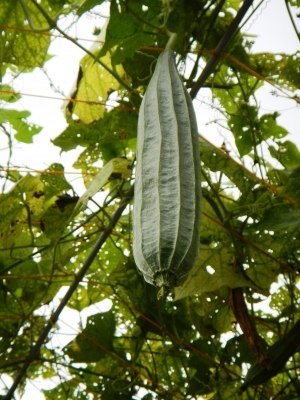 Luffa acutangula is a vigorous annual climbing plant producing long stems that scramble over the ground or climb into nearby vegetation, supporting themselves by means of tendrils. Asia - Indian subcontinent. Naturalised throughout the moister Tropics. ]. Keep the plants growing quickly and plant out once they are 15cm or more tall.